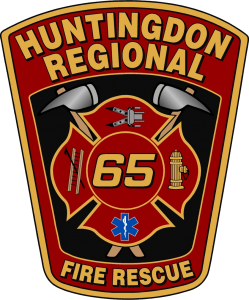 At 10:00 Deputy Chief 65, E65-2 and E65-1 responded to 1401 Washington St (Huntingdon Borough) for a CO detector activation. Juniata College Public Safety was on scene with confirmed readings. E65-2 arrived and split crews. The 1st crew went to the basement and located the cause. The 2nd crew verified all apartments where vacant. E65-1 set up ventilation and crews cleared the box.